They asked me about the best wishes for the holiday, about how could we interpret or formulate them, generally. How much indifference, how much irreverence, as empty of love towards the pain of the other ones! Life cries of suffering and all creation groans of despair, while you dance, you play, and celebrate and give greetings for a Merry Christmas, a Happy New Year , a Happy Easter! How much hypocrisy! What nonsense! What unconsciousness! Dead scattered everywhere and the ground soaked with blood. The violent death unleashed by man falls from the sky like a curse of God. The earth writhes and upsets everything, while the elements are hurled violently against life. Greetings, greetings, greetings, without a single tear of pity, without the slightest light of spiritual love. So, men of the earth have celebrated the death, not life. So, the men of the earth have celebrated hate, but not love. So, men of the earth have celebrated evil, but not good. So, men of the earth have celebrated the darkness, but not the Light. EASTER OF PAIN, EASTER OF RESURRECTION. WAS THE KING OF KINGS; BUT NEVER FOR THE FIRST TIME HE SAID IT. THE FACTS SPOKE FOR HIM… THE FATHER SHOWED IN THAT WAY, THE POWER OF HIS SON. EASTER PAIN, EASTER OF RESURRECTION. TO BE ABLE TO LIVE WITH PLENTY OF GIFTS OF GOD. MUST GO OUT OF THE “DESERT OF THIS WORLD”. BECAUSE THE WRITINGS BOUND WILL MAKE THE BOOK OF WISDOM. THE LAW OF THE GLORIOUS FATHER WITH UNIVERSAL JUSTICE-PEACE-LOVE. It ‘been said, written and handed down: “BY THEIR FRUITS YOU WILL KNOW THEM.” YOU DO NOT HAVE RECONGNIZED HIM, YOU HAVE REJECTED THE PEARLS THAT HAVE BEEN GIVEN TO YOU, IN HOPE TO SEE YOU SAVED AND BLESSED. YOU DO NOT HAVE RECOGNIZED HIM REFUSING HIS SOLICITUDE AND HIS EXHORTATIONS IN ORDER NOT TO FALL IN TRAPS OF EVIL. YOU BEEN DEAF AND BLIND TO THE OVERWHELMING DIVINE CALL OF THE HEAVENLY MOTHER SOLAR AND HER ANGELS. YOU HAVE PREFERRED THE DARKNESS TO LIGHT, DEATH TO RESURRECTION, TO THE LIFE OF THE ETERNAL HAPPINESS . YOU HAVE LET YOURSELVES TO BE TAKEN BY THE LUCIFERIAN TEMPTATIONS, FORCING THE SPIRIT TO THE SECOND DEATH, TO MISS THE EGO-SUM , TO RENNOUNCE TO BE AS IMAGE AND SIMILARITY OF WHO HAS SHOWN YOU HOW HE IS. YOU HAVE CLOSED YOUR EARS AND EYES LETTIN THAT EVIL CONTROL YOUR CONSCIENCE. NOW THE BIG EVENT IS NEAR FOR THE JOY OF BLESSED AND FOR THE ESTABLISHMENT ON EARTH OF THE HEAVENLY PROMISED KINGDOM. THE DAY OF RETURN ON THIS PLANET OF CHRIST IS COMING, personified by THE mutable CABIN OF JESUS ​​. DO NOT EXPECT MERCY IN THAT DAY, THOSE WHO HAVE FEMENTED EVIL IN EVERYTHING. DO NOT EXPECT MERCY AND FORGIVENESS, THOSE WHO HAVE DISOBEYED AND VIOLATED THE LAWS OF THE CREATOR FATHER. IF ANYONE SAYS THAT CHRIST WILL RETURN LIKE A LAMB TO BE SACRIFICED ONCE AGAIN, TO CANCEL THE SINS OF THE NASTY AND THE MURDERERS OF LIFE, IS A LYER AND DECEPTIVE. HE WILL COME TO SETTLE DOWN THE FATHER´S LAW AND TO SEPARATE THE WHEAT FROM THE WEEDS, THE LIGHT FROM DARKNESS, THE GOOD FROM EVIL. HIS SENTENCE WILL BE VERY SEVERE. MANY, MANY WILL INHERIT THE SECOND DEATH. DO NOT ASK WHAT THE SECOND DEATH MEANS BECAUSE IT´S BETTER FOR YOU THAT YOU DON´T KNOW WHAT IS TO DIE FOR A SECOND TIME. IT´S BETTER FOR YOU NOT TO KNOW! THE ANGUISH OF MY SPIRIT AND THE PAIN OF MY HEART. THE ANGUISH OF MY SPIRIT FOR THE VAIN SACRIFICE OF JESUS ​​CHRIST, FOR THE REJECTED REDEMPTIVE OFFER, FOR HIS UNAPPRECIATED MERCY. THE PAIN OF MY HEART AS WHAT I SEE AND FEEL THIS INSANE, BLOODY, UNCONSCIOUS GENERATION, DUMB AND DEAF TO THE RECALL OF CELESTIAL POWERS, PERSEVERING IN ERROR AND OBEYING WITHOUT DISCERNMENT TO THE DEVIL, THE TEMPTER SATAN, LUCIFER AND ITS ANTI-CHRISTIC LEGION . THE GREAT BATTLE IS CLOSE TO THE EPILOGUE AND THE GLORIOUS FATHER TO HIS FINAL JUDGMENT. AFTER THAT, THE PROMISED PARADISE ON EARTH WIL BE INHERITED BY THE BLESSED, THOSE WHO HAVE SERVED HIM BECAUSE THEY “REALLY” HAVE RECOGNIZED HIM . The old world is about to mutate into a new world of Justice, Peace and Love. The brother will love his brother, because he will recognize him in Christ and will be one as the Father wants. War! Brother kills brother, father kills his son and the son kills his father! and children, injustices of every kind! neutron bombs, radiation, pollution, acid rain, nefarious culture and deceptions of all kinds! who bury the dead. HAPPY EASTER ????? … THE SKY WILL BE FULL OF lively FLASHES OF LIGHT, BUT THIS MUST NOT ABSOLUTELY WORRY YOU, BECAUSE THEY ARE OUR VEHICLES IN FULL OPERATION OF SALVATION … !! -I answered some time ago to friends and scholars in Argentina. YOUR PRECIOUS BLOOD, MY LORD, MAKES US invulnerable TO ANY TEMPTATION; FOR THAT I HAVE BEEN WET BY YOUR VITAL LYMPH. 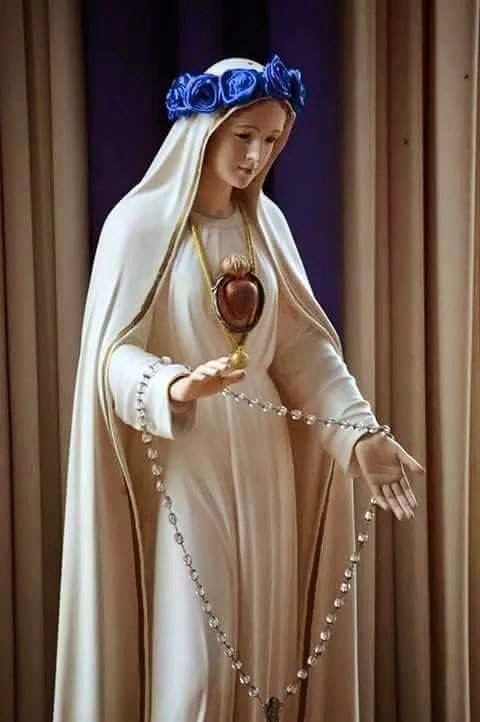 HOW COULD WE Miserable EARTHBORN UNDERESTIMATE YOUR IMMACULATE HEART, DISPENSER OF EVERY GOOD LIGHT OF DIVINE TRUTH. ALL THOSE WHO WILL FIND THEMSELVES IN FRONT OF YOUR PRESENCE WILL TREMBLE, DURING THE DAY OF THE JUDGMENT, THE SENTENCE WILL BE SEVERE … WITHOUT PITY, WITHOUT ANY DELAY, WITHOUT ANY WEAKNESS … !!! I COURSE IN INTIMACY OF MYSELF AS IF I HAD CROSSED A UNIVERSE. THIS I HEARD THIS AND I TELL YOU … !! Continuing with my answer to your question, we can add: There is no doubt about who has lived among us, of what he has “Announced” and from whom he has been “Precursor“. CHRIST-JESUS ​​said, that we would have to recognize whom he sent and led to the knowledge that lead to the FATHER. All the knowledge that then He could not reveal and teach. Knowledge to be acquired to face the … FINAL JUDGEMENT AND HIS SECOND COMING …. !!! 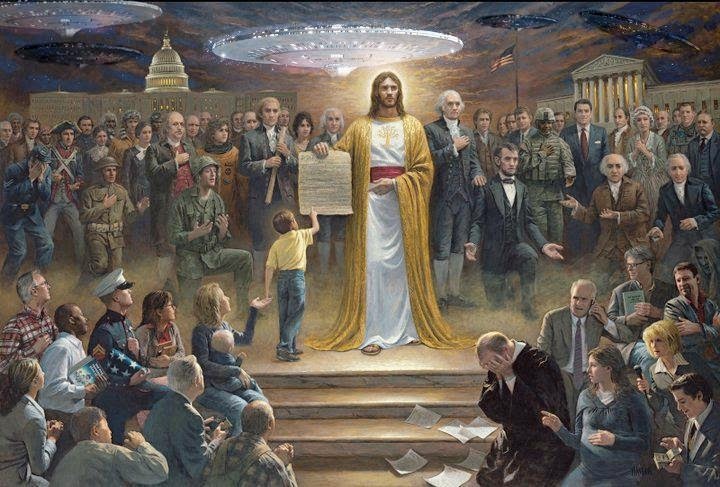 IF YOU ARE NOT CONSCIOUS OF THIS UNION, AS MANY TIMES I HAVE SAID AND REPEATED WITHOUT SEPARATING IT, BECAUSE EVERYTHING WAS PLANNED BY THE FATHER, AND WE SEE IT BECAUSE JESUS ​​CHRIST HAD TAUGHT US AND HAD THE NEED TO PROCLAIM IT, TO COMPLETE THE EVOLUTIONARY PATTERNS WITHIN THE SUPREME INTELLIGENCE, IF NOT WE WON´T BE ABLE TO OVERCOME THE EXAMINATION THAT ALLOWS TO ACCESS TO HIGHER CLASSES .. !!! Huge to everyone in Peace and Serenity. May you live these days in serious contemplation and reflection with your loved ones and all those you love. Jesus in Jerusalem, What has changed after 2000 years? “WHO YOU WANT FREE, JESUS ​​OR BARABBAS? BARABBAS! CRIED THE THIEVES AND THE WICKED “.